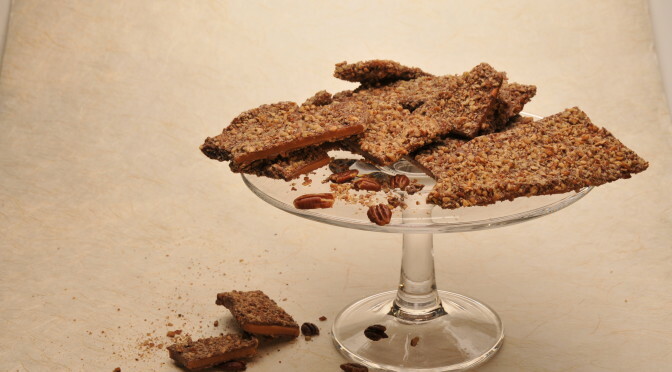 English Toffee | Belgian Chocolatier Piron, Inc.
Our English Toffee features crunchy toffee, sandwiched by a thin layer of milk chocolate, entirely encased in perfectly roasted, crushed pecans. I stopped by to grab a few gifts after hearing rave reviews about Piron. When I walked in, I was so pleased that the store just smells like real chocolate. The front of the store is small, with just the display cases of chocolates, toffees, and barks, but you can see an expansive kitchen in back where they make everything.